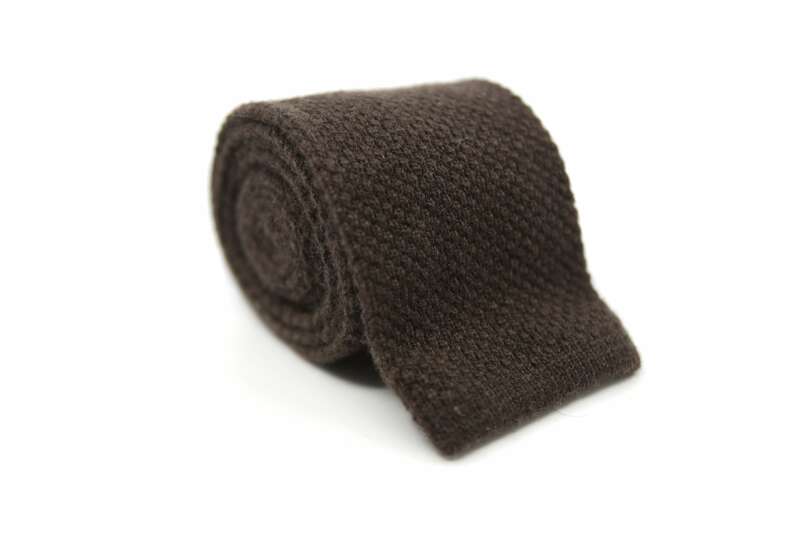 This knit tie is made from pure cashmere. By using a melange cashmere yarn the product gains its beautiful color depth. What really sets this knit tie apart from others is its width. 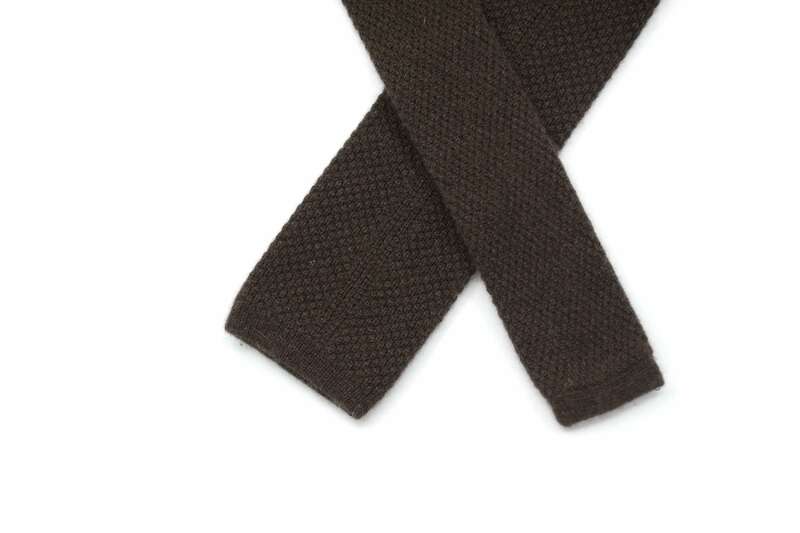 Whereas regular knit ties have a width of 6-7 cm this one measures a generous 8,5 cm. This leads to an improved drape of the tie as well as a more pronounced dimple within the knot. 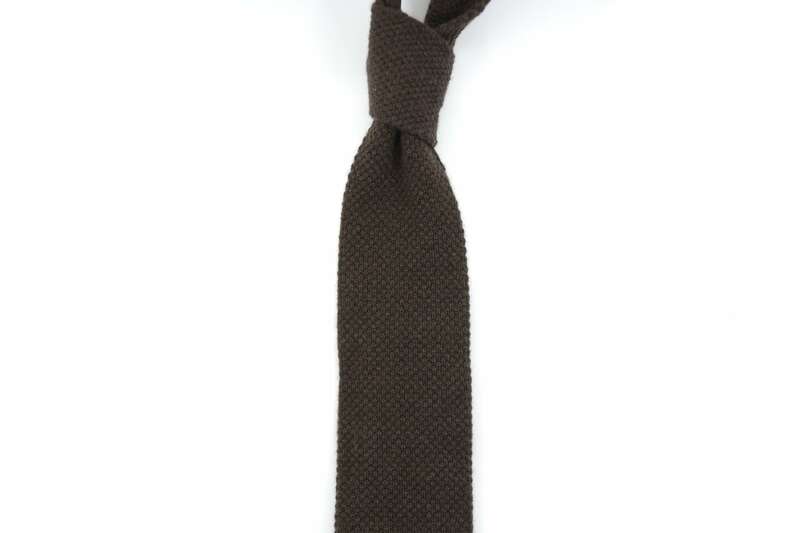 In our opinion this is the perfect tie for fall and winter in a semi-formal business environment.